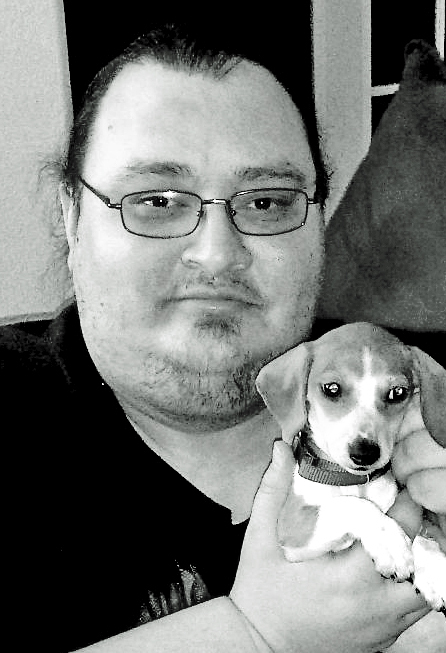 CARL REICHENBERG, 39, of Beulah, passed away on Friday, March 22, 2019, at Sanford Health, Bismarck, ND. Services will be held at 11:00 AM CDT, Friday, March 29, 2019 at the Beulah Congregational Church, Beulah with Pastor Rich Cook officiating. Visitation will be one hour prior to the service at the church. Carl Henry Reichenberg was born August 16, 1979 in Minot North Dakota. He grew up on the family farm, northeast of Hazen, with his parents George and Mardell (Zeller) Reichenberg. At the age of 5, the family moved into the town of Hazen, North Dakota. He attended Hazen Schools graduating in 1998. He was active in football, track, chorus, and basketball. He was baptized and confirmed at Peace Lutheran Church in Hazen. He did lawn care for George and Enid Stroup during high school. He attended United Tribe Technical College in Bismarck, attending their Culinary Arts program. He liked to cook and made the best Patty Melts and Chicken Tortellini soup. He worked for Pizza Hut and Weber Maintenance in Beulah North Dakota. He also worked at the Woodshed in Hazen until his health prevented him from working. Animals loved him, especially Squeaky, Mable and Cinnamon. He is now in heaven with Charlie, Bosco, Carmel, Fritz, Zoey, and Rover. He is survived by his parents, George and Mardell Reichenberg of Hazen; one sister, Kathy Reichenberg (Dean Newman); a special niece, Brooklyn Roscoe, all of Parshall, ND; his many aunts and uncles, Inez Renz, Florence Sailer, Eldon and Doris Zeller, all of Olympia, WA; Gordon Zeller, Seven Lakes, NC, Helen and Vernon Rostad, Garrison, ND, Ruth and Don Legacie, Gilbert, AZ, and Marie and Harold Mathisen, Hazen, ND; and many cousins and friends. He is also survived by special friends, Ray Gapport, Mercer Sage and his mother Merril, Mandan, ND, and Fran and Mike Lockwood and family of Zap, ND. He was preceded in death by his grandparents, Carl and Elizabeth Zeller and Henry and Ida Reichenberg, aunts and uncles, Lillian Busch, Violet and Fred Rempfer, Eldor Sailer, Marvin Renz, Clifford, Alden and Raymond Zeller, Marion and David Smith, Carol and Harvey Boehler, Peggy Zeller, Sue Zeller, Godparents, Carol Wallender and Kenny Miller and several cousins.